At a celebratory work lunch one day, my new colleague showed us a photo of herself 2 years ago and I was flabbergasted. Back then her face was all puffed up and she was a lot plumper (understatement). Now, she’s slim, her face has beautiful contours and her skin glows. Most importantly, she also showed no signs of fatigue or suffering that I normally see in people who are on weight loss programs. She revealed that she lost a whopping 26kgd. When we asked how she did it, her answer surprised us. Everyone started discussing how much water they take every day. I normally take about 5 refills of a 1 litre glass water jug from Muji (pictured above), which adds up to about 5 litres a day. More if I’m stressed, I drink to keep myself distracted from the stress. Do I believe that water keeps weight down? In a way, I guess. I believe that water keeps water retention down (so says my gynae as well!) and that water detoxes. So in a way, it probably contributes to a slimmer, healthier me. I’m not into weight loss, but so many people around me are, even if they are seriously, honestly ok, or even thin in my eyes. It pains me to see them suffer for weight loss. Over time, I’ve stopped telling them that they really really look ok, or that “healthy is enough”. I felt really good to know a living example of someone who didn’t feel like she was suffering to lose weight and to be able to share her story with people who are suffering to lose weight. That day at lunch, my friend had a carbo rich pasta main course and some fried dishes. When asked about her weight watch, she smiled and said that weight watching is not counting every calorie you intake, but knowing what your body needs to be at equilibrium. If she eats more now, she doesn’t make herself feel guilt, but choose to channel that energy into knowing what she needs to do to balance it out. How refreshing to hear! Do you agree? Disclaimer: Both my colleague and myself take water GRADUALLY over the course of the day, I understand that there could be possible health implications in having too much water at one go. In any case, this is not qualified medical advice, only experience sharing. Please consult a doctor if you have any concerns. 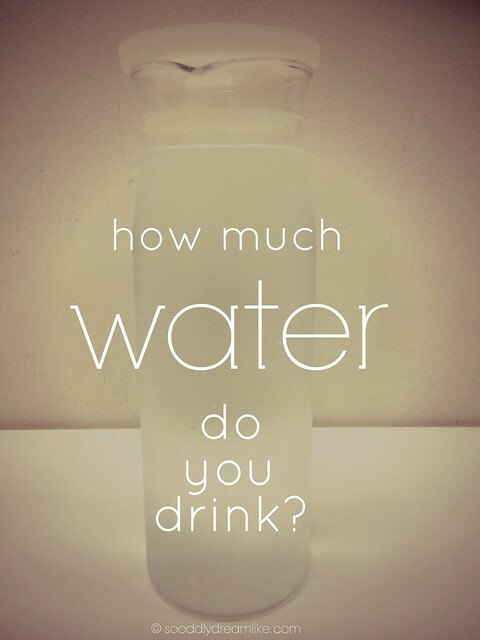 You need 1 litre of water for every 20kg of yr weight. But, not all water are equal. I drink 3 litres of kangen water for my weight. Kangen water is high in anti-oxidant, micro clustering thus hydrate my body better & is alkalised thus helps in eliminating toxic waste in my body. I have been drinking it for 2 years. Friends who have known me 3 years & above would have seen changes to my face. I was plagued with constant breakouts, leaving my face badly scarred. No amt of facial & facial products could help. Only kangen water did the change, because it drew out the toxins. My hair secrets | What’s yours? When did you start fixing things on your own?